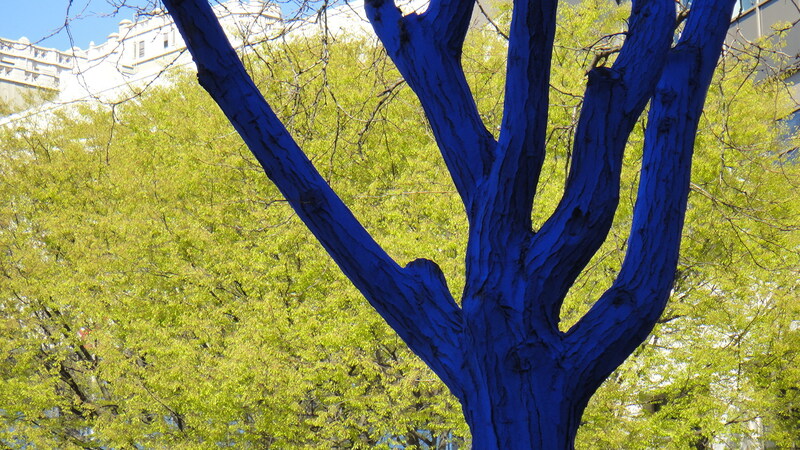 ummm, does the blue paint have any negative impact on the trees? Neat concept. No, it’s not harmful to the trees. It washes off gradually in the rain … which we have plenty of here in Seattle! It is an artist installation – the idea is to draw attention to trees in general by getting people to notice them … because the trees don’t just blend into the background. Cool idea. I bet the trees are really striking. Heading to Seattle this week for the first time. Hopefully we’ll see these because it looks really interesting.